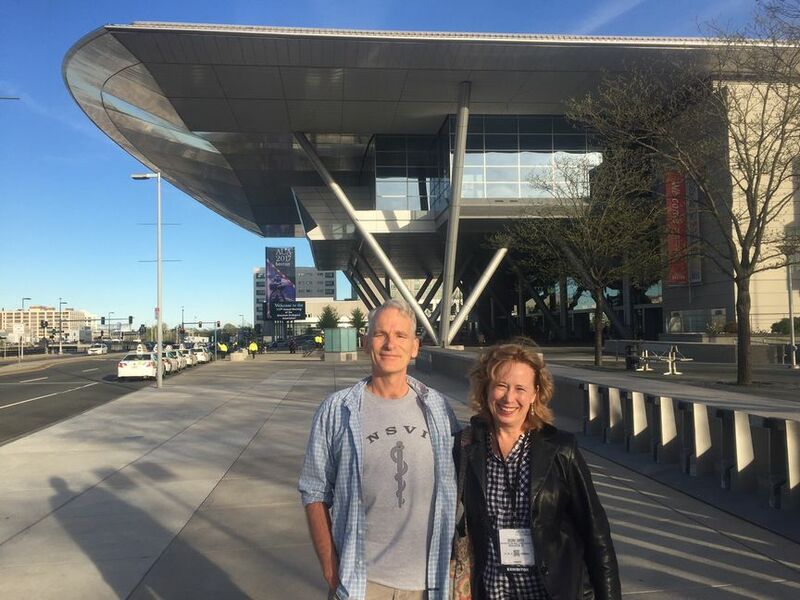 NSVI at the 2017 AUA in Boston | No-Scalpel Vasectomy International, Inc. 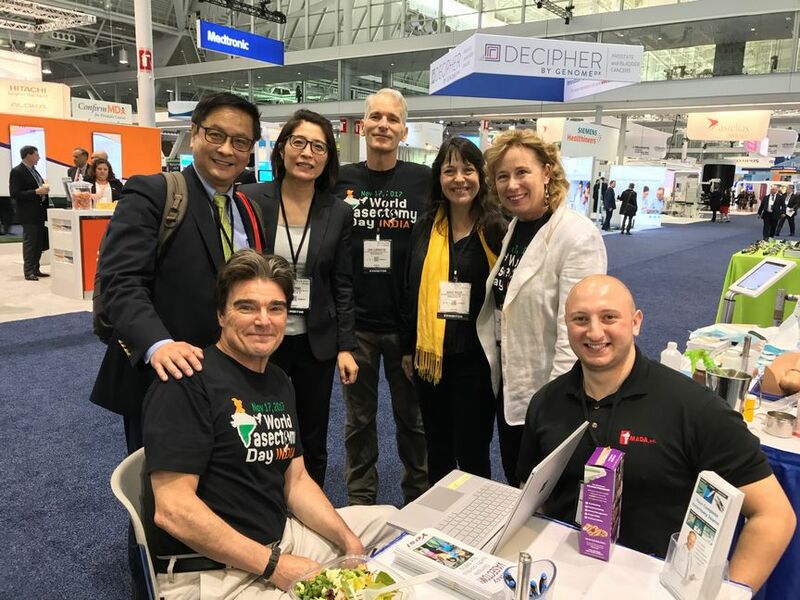 Thanks to the generosity of Ling Pang of VasectomyStore.com (Advanced Meditech International, Inc.) and Paul Adam of Mada Medical Products, Inc., NSVI and World Vasectomy Day had a stage to promote our missions at the 2017 Annual Meeting of the American Urological Association in Boston May 13-15. 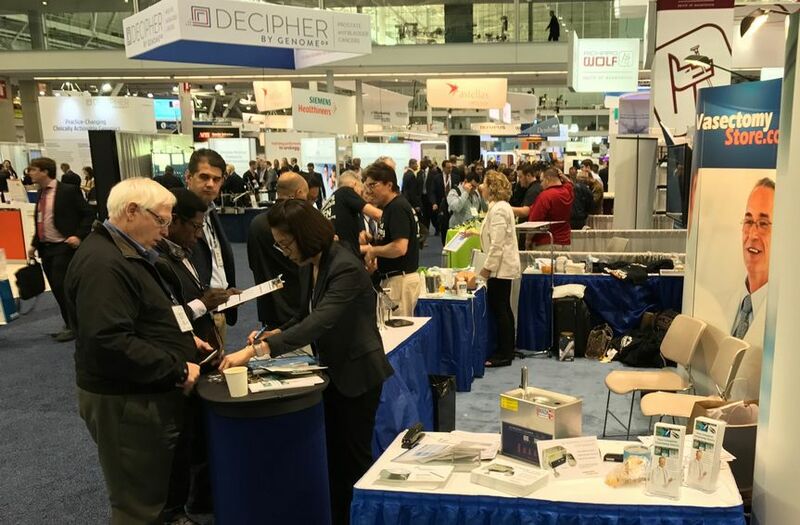 Ours was one of the most dynamic booths at the AUA, where visitors learned about the fine points of no-needle anesthesia and NSV instrumentation, as well as opportunities to participate in NSVI Missions and showcase their practices on World Vasectomy Day. A brief video captures the excitement. 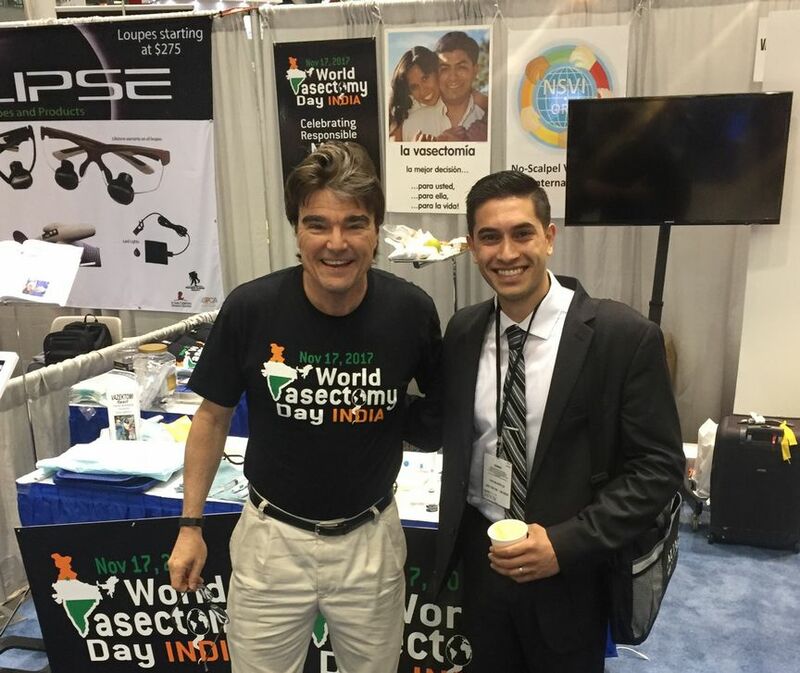 … and inspire residents and medical students (like Karan Arora of Chicago) to embrace vasectomy. 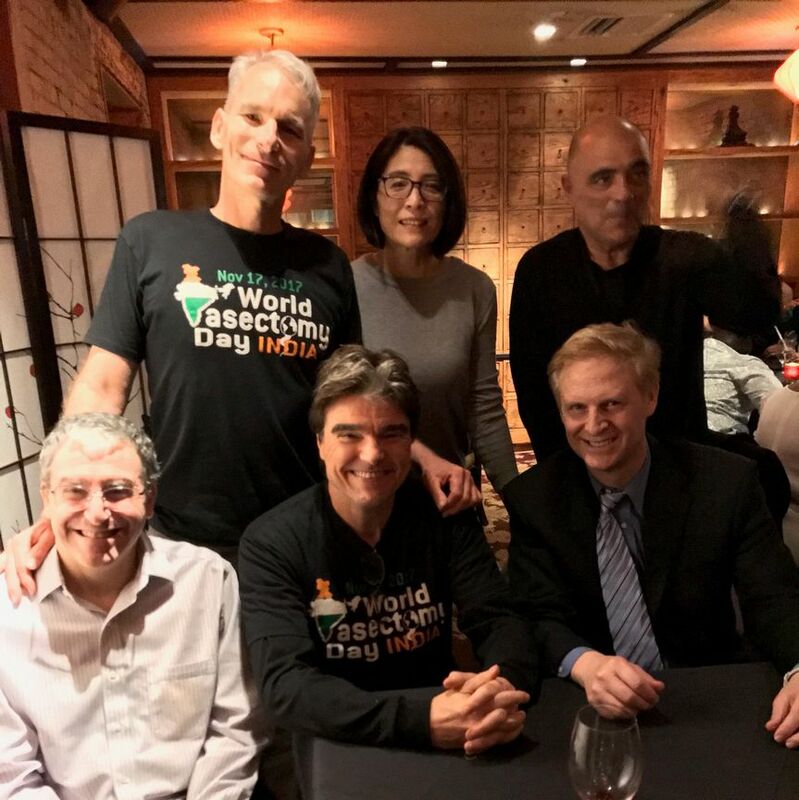 We expanded the number of vasectomists in the Vasectomy Network Google Group (added 23 vasectomists from 8 countries), and enabled many vasectomists to promote their practices on the World Vasectomy Day website. 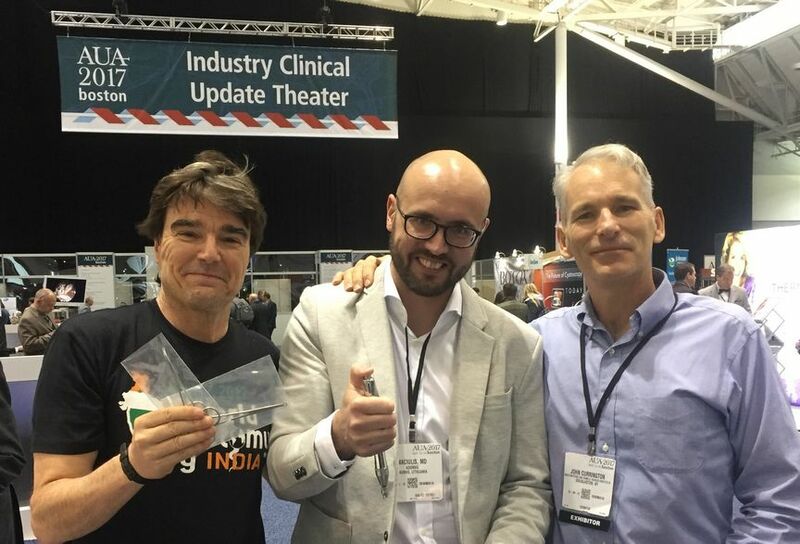 Special thanks also to Jose Viladoms of Barcelona (seated between Philip Li and Ling), who in 2005 performed the first no-needle vasectomy in Europe, and who helps at our booth every year to connect with our Spanish and Latin American colleagues. 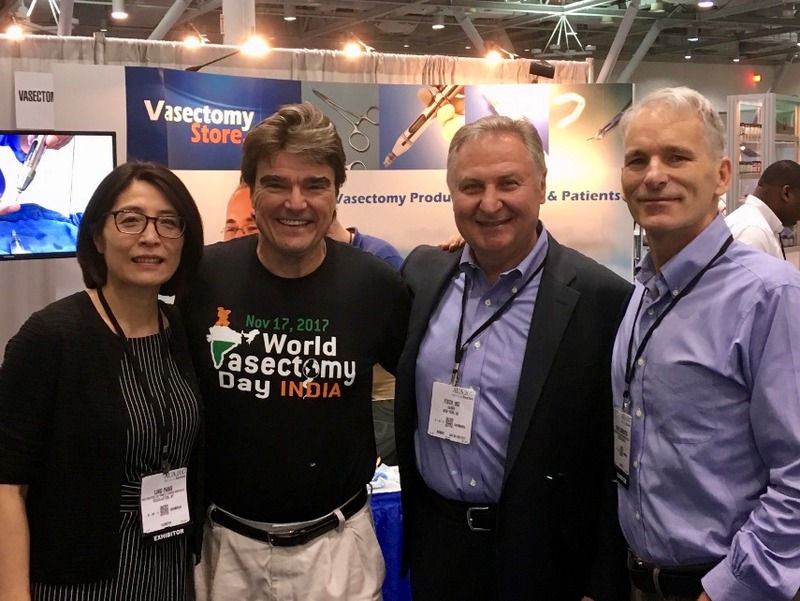 Michael Werner of NYC (veteran of NSVI missions to the Philippines and Haiti) and Russell Williams of Houston are both contributors of great ideas to promote vasectomy and always delightful guests. Perhaps YOU! 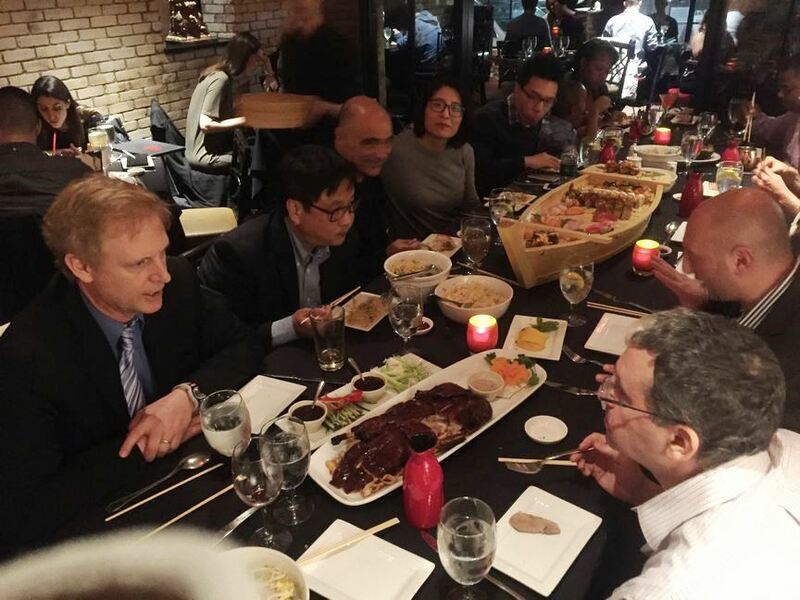 would like to join NSVI and WVD at a future AUA.